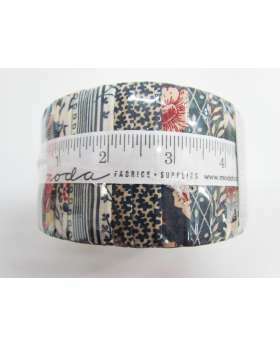 A promo pack, some times known as a charm pack or charm squares is 42 pre-cut 5" x 5" squares in different fabrics in the same range that are designed to blend together. 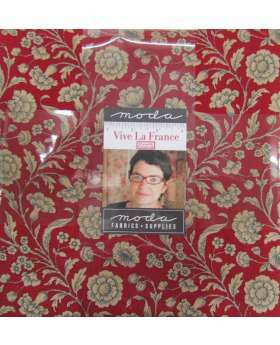 These are most commonly used for patchwork and quilting projects, home decor and crafts This Vive La France charm pack, is designed by French General exclusively for Moda Fabrics. Inspired by a love of France, this range highlights a patriotic colour palette of Blue, White and Red, for a what is a lovely patchwork and quilting range.